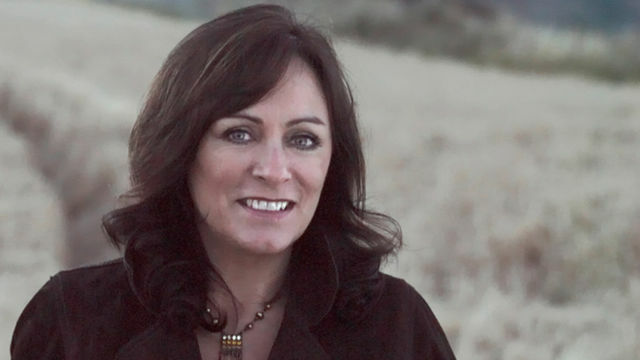 Though her emergence dates back to the mid-seventies, Dublin singer Mary Black doesn’t write much of her own material; instead, her work is firmly grounded in the rich Irish tradition of folk discovery and interpretation. Her dozen solo albums include both new songs written by songwriting partner-in-crime Noel Brazil and traditional folksongs from the vast annals of the British Isles, but the bulk of their tracks are comprised of pliant, plaintive takes on songs from the catalogs of contemporary singer-songwriters from both sides of the pond. Black’s history reads as a typical who’s who of Irish vocalists: born of a musical clan, she began performing traditional Celtic songs alongside siblings and parents at the age of eight, and was touring Europe with a tradfolk band by the time she turned twenty. Seven years later, in 1982, she recorded and released her self-titled debut as a solo artist, which went gold in the UK; subsequent albums, such as No Frontiers, which spent fifty-six weeks in the Irish Top 30, brought her platinum sales, sold-out tours, recognition as Entertainer of the Year and five separate years of “Best Female Artist” nods from the Irish Recorded Music Association, and the cover of Billboard magazine, where her talent and stature was compared to that of Enya and Sinead O’Connor. But as with many artists of her caliber and genre, collaboration remained an important component of Black’s work. Even as her solo work took off, she would join vocal group De Dannan; later, her work with sister Frances Black, Maura O’Connell, Dolores Keane, and others on best-selling compilation album A Women’s Heart both acknowledged and cemented her place among the rarified heights of her chosen niche. Her work with the late Brazil, whose name appears in the credits of virtually every one of her albums, was often among her best. More recent duets with Emmylou Harris, Janis Ian, Joan Baez, and Steve Martin only cemented her stature among an aging international fan base. And as the commercial and critical rejection of grungy 1997 one-shot Larry Kline-produced pop album Shine made clear, just as Black has made her mark through the songs of others, she owes much of her success to producer Declan Sinnott’s layered, rich support throughout her career. Though she has recorded but three albums in the past decade (2003 live album Mary Black Live, 2005 studio album Full Tide, and 2011 release Stories From The Steeples), all of which finally begin to show a bit of age’s shivery whisper creeping into her vocals, Black’s voice remains a benchmark for purity in the industry, and her interpretative prowess a standard for multiple generations. Her 2006 version of Dylan’s Make You Feel My Love anticipates Adele’s infamous cover so thoroughly, it’s hard to imagine that Adele didn’t use it as a model. And though Irish vocalist folk is not my personal favorite folk genre, it’s equally hard to resist the pure vocal beauty and tender, flowing production which characterizes her takes on well-chosen songs from a predominantly male folk musician’s playbook. Here’s a chronology of favorites from a long career worth celebration.